One of my New Year’s Goals for 2017 was to try out new hobbies. I use the term “new” lightly because, as a mom, I don’t really have time for hobbies. So I knew he could show me the ropes. I’ve been wanting to build something that could show off mine and Huff the Hubs’ Lego minifigure collection. Right now they’re balancing haphazardly on the bookshelf–in prime range of a toddler who will not be named–and are constantly being found on the floor with several limbs missing. To save the Lego men and women from this disastrous fate, I called upon my dad to help a girl out! I had a really great time learning what all of the tools’ names were, what they did, and how to use them. I also enjoyed when Dad cut most of the wood so I would not lose any fingers, haha! After we planned, measured, measured again, cut, nailed, stapled, painted, and covered the display, it was finally finished! And no, that is not the extent of our minifig collection, they’re just a few of my faves! 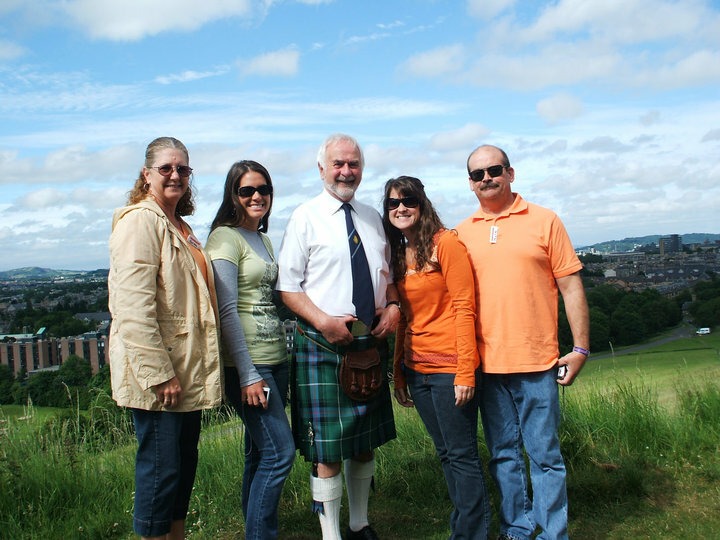 I definitely think I will be doing some more projects with my dad–I really enjoyed this one! Now, if I can get it hung up without it falling off the wall, THAT will be an accomplishment! Are you working on any projects? Have you made a goal to try out a new hobby this year? Share in the comments below! You may not know this (actually, it’d be weird if you did) but my dad loves trying out new recipes (the guy is ALWAYS on Pinterest) or finding a recipe and making it his own by tweaking a few things. Sunday night, he treated us to one such recipe and its today’s Try it Tuesday! He found this recipe on AllRecipes.com, but decided to try it minus the banana-flavors! In a medium-sized bowl, whip the cream cheese until fluffy. Then, add in the remaining ingredients and mix until well blended. Pour the mixture into the graham cracker crust and refrigerate for at least two hours. Then, serve! We topped ours with Cool Whip, caramel drizzle, and hot fudge! Mmm! This turned out pretty good! It tasted like turtle cheesecake! Dad sad that next time he makes it, he’ll be sure that the cream cheese is soft enough (there were still some lumps in the pie). But even with the lumps, it was still tasty! Have you ever tried this before? What did you use? Share in the comments below! Today’s HDT is going to be a little different. Much like when Ron Swanson got the Woman of the Year award on Parks and Rec, I’m highlighting a great man that has helped mold and shape the lives of countless women. 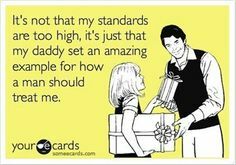 I’m talking about my dad. 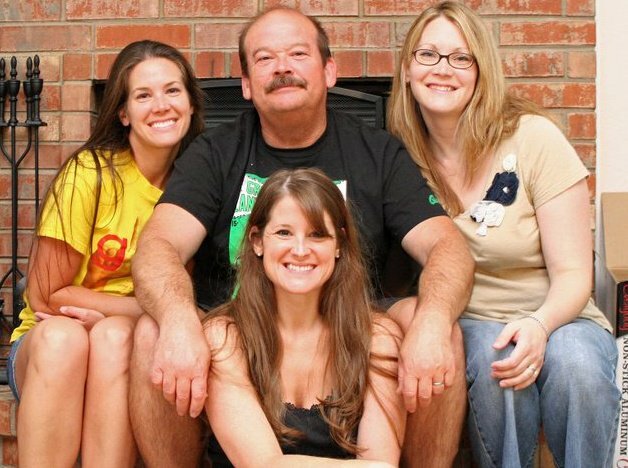 With Father’s Day this weekend, I wanted to share a little bit about how my father–even though he may not realize it–has been an excellent role model for empowering women. He let us try new things. My dad’s childhood wasn’t the best and he always said he wanted to make sure his children had the best they could. He worked tirelessly so that my sisters and I could afford to do any activity we wanted (including dance, gymnastics, skating lessons, swimming lessons, cheerleading, and, for a brief period, basketball). He (and my mother) wanted us to try new things and have experiences they didn’t. He made sure we were able to travel so we could see places we read about and could gain first-hand knowledge of the world around us. He showed us how to work. So many times, my father worked 12-hour days (heck, he still does!). He always said, “If you don’t work, you don’t eat.” He instilled in my sisters and me the value of working, and working hard. He didn’t let us give up. 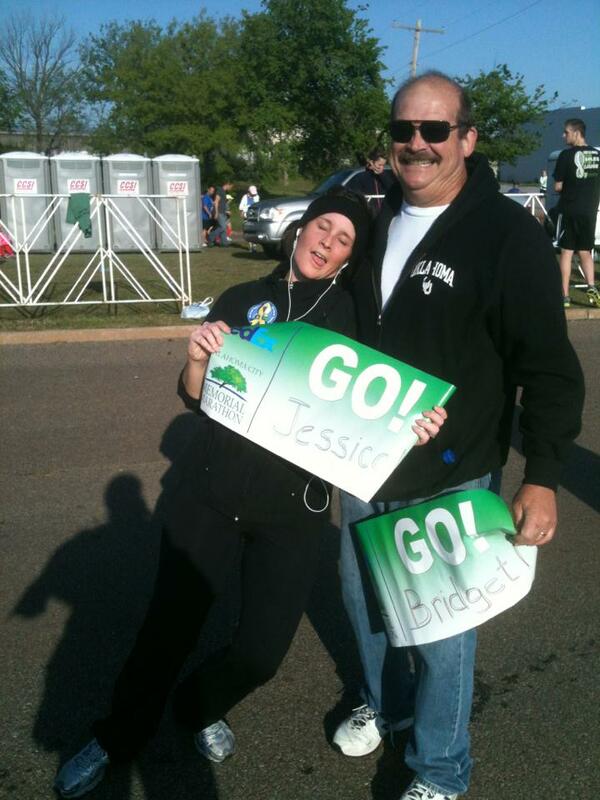 Though he may not know it, my dad is a great motivator. He would tell us girls, “You can do it! Just try.” He didn’t do things for us (unless it was just waaaaay too dangerous/you basically needed a special license to do whatever it was) when he knew we could do it. He taught us we were enough, just as we are. He taught us what love really is. Man, my dad loves my mom. Ever since he was in high school, the torch my dad carries for my mom has been burning bright. 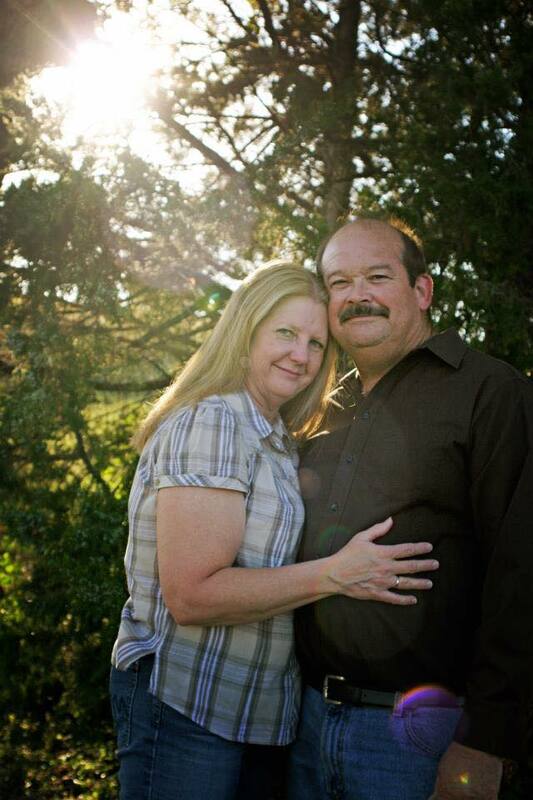 The example he has shown me of what a beautiful, loving, Godly marriage is inspires me in my marriage. I am so blessed to have the dad I do. I think its important for girls to have strong female role models in their lives, but I believe its equally important for girls to have strong male role models as well. I’m just glad I’ve got an amazing one in my dad. Did everyone have a happy Father’s Day? Hopefully your dad’s day was better than Tywin Lannister’s. Huff the Hubs had a pretty good day—except that he had to leave on a business trip to California, womp, womp. I’ve been a little bummed since my better, bearded half is on the West Coast, so in an effort to buoy my (and I’m sure everyone else’s since its Monday and Monday is the equivalent of getting kicked in the shin) spirits and honor dads (a day late—whoops!) I found this hilarious video and thought I’d share it with you! As we all know, this Sunday is Father’s Day. 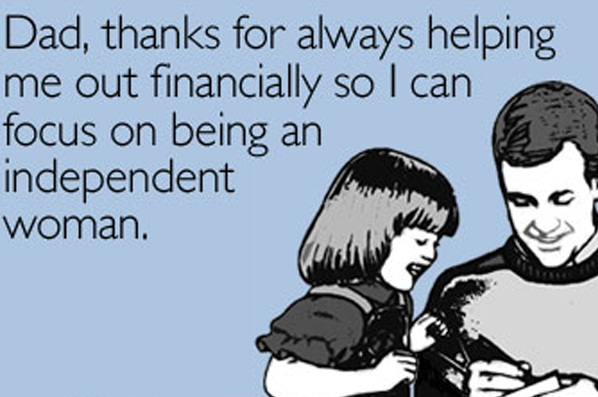 I sincerely hope you’ve bought your dad something nice or at least got the poor guy a card, seeing as how he’s one half of the reason you’re here! Some people think dad’s get the shaft on Father’s Day because such a fuss is made over mom’s on Mother’s Day which, honestly, I think it should be that way; but dad’s shouldn’t be forgotten. They are just as important as mom’s. Which is hilarious. Because yeah, the guy isn’t doing all of the major, heavy lifting. 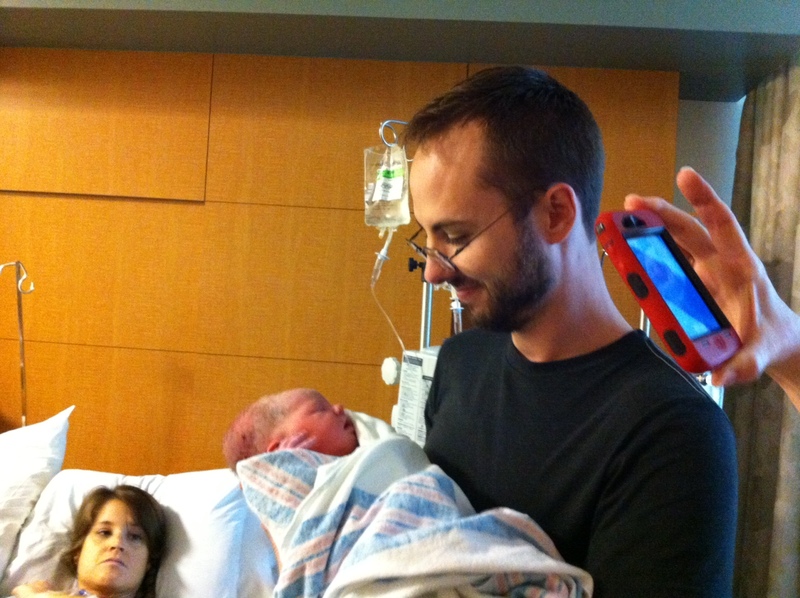 BUT I’ve learned that dads do do (heh, “do do”) a lot during pregnancy. At least, HtH did. Huff the Hubs was so great during my pregnancy. Those first few months when I was nauseous all the time and couldn’t cook dinner because the smell bothered me, he really stepped up to the plate (literally!). He also started helping out a lot more around the house. He’d go on food craving runs for me. When I’d flip out and have crazy mood swings, he’d just let me flip out and then help me calm down. And when I’d get scared about having to push his love goblin out of me, he’d always know what to say to help me not be afraid. He’s basically my Disney Prince. Even after labor and delivery, HtH really took such great care of me (and Hermione). He was (and is) so protective of the both of us, its adorable. Bryan, you are—without a doubt—my favorite human being. You are kind, loving, generous, thoughtful, and loyal. You are the reason I’m a mom. And I’m so glad you’re my partner in this adventure called Parenthood. And when I see you with our daughter, my heart melts. You’re amazing. I love you and I like you. And Dad, thank you for setting such a great example of the kind of guy I should spend my life with and raise kids alongside. 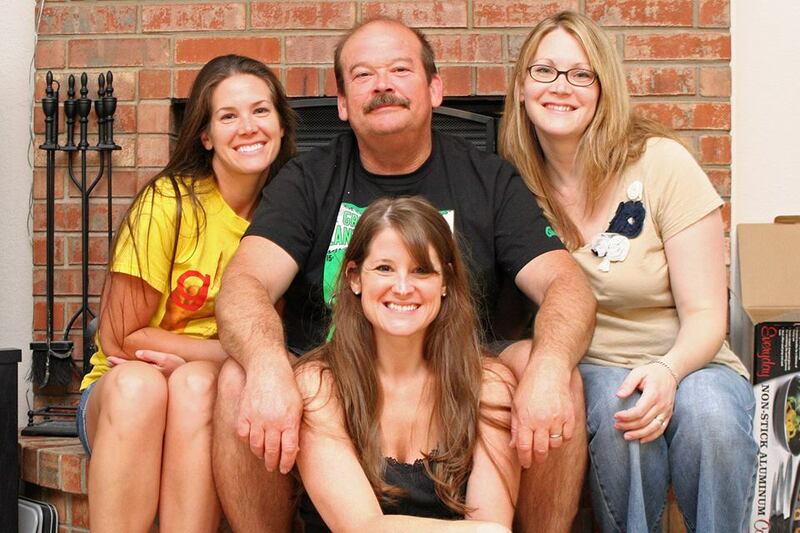 You have been the BEST dad a girl could ask for. I am so blessed to have you as my dad and even more so to have you as Hermione’s Papa. I know its not Friday (full disclosure: I woke up this morning totally thinking it was!) but I couldn’t wait to share all of these geeky goodies to help you celebrate this Father’s Day weekend! If you haven’t started shopping for your nerdy pop, have no fear! 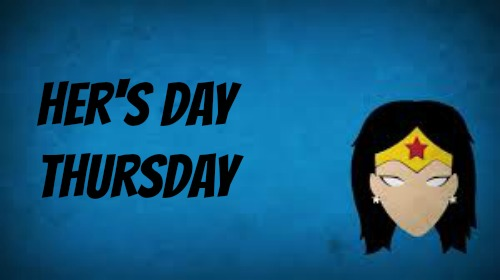 The monkeys over at Think Geek have got you covered! 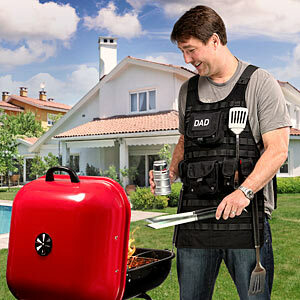 Now that summer’s here, show your dad he’s not just King of the Grill, but Ninja of the Grill with this tactical apron! There are pockets to hold anything and everything a true grill-master requires. If your dad is more of a gamer than a griller, you’re in luck! 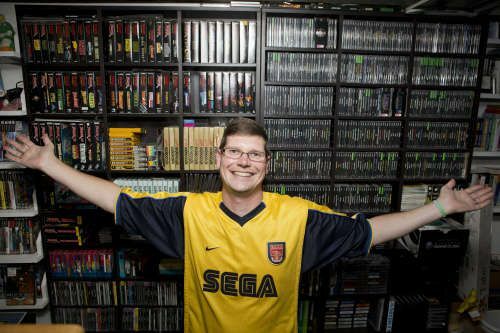 The largest collection of video games (certified by the people at the Guinness World Records) is up for auction! The 11,000+ games have a starting bid of $750, 250.00, so you’ll need to dig in your pockets for this one. But, I think you’d solidify your favorite child status for the foreseeable future. If you’re looking for a way to let your dad know he’s the best in all Westeros, take page from these parents! 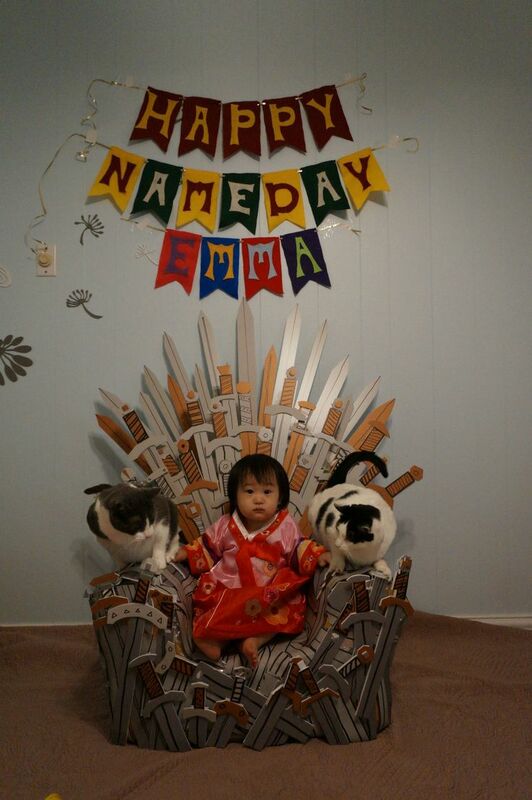 They threw their daughter a Game of Thrones-inspired birthday party! I’m sure Dad would love such a celebration! Just, try not to make it as gory as the Red Wedding.